This little easel is perfect for displaying books, cards or menus. Perfect for fine dining or as a wedding number holder. 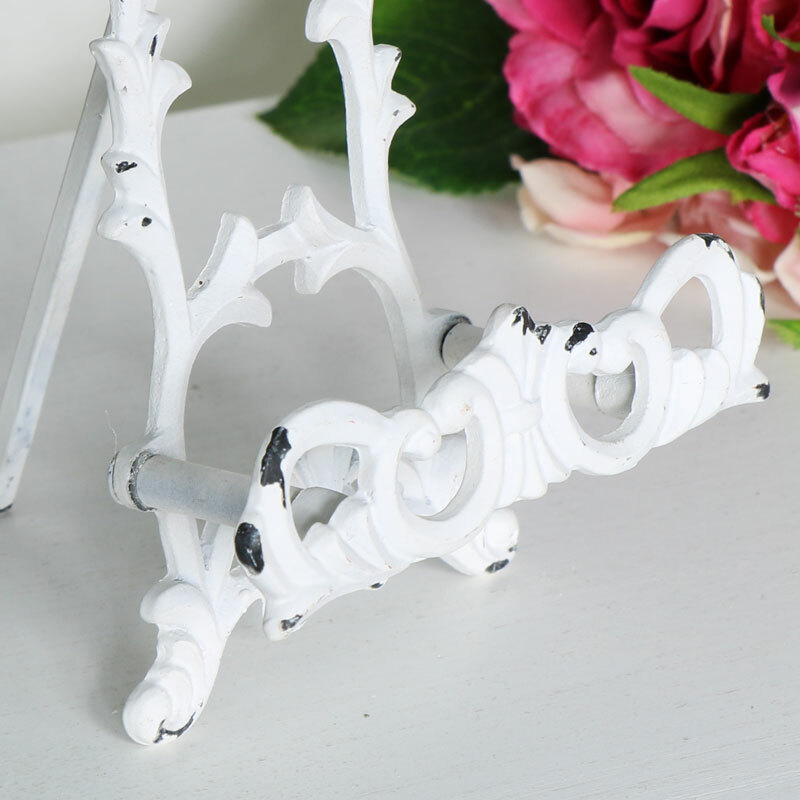 Ornate design that will be perfect for using as number holder for a vintage French wedding. Practical and pretty, this stand could also be used for holding tablets and smart phones. This little easel is perfect for displaying books, cards or menus. Perfect for fine dining or as a wedding number holder. 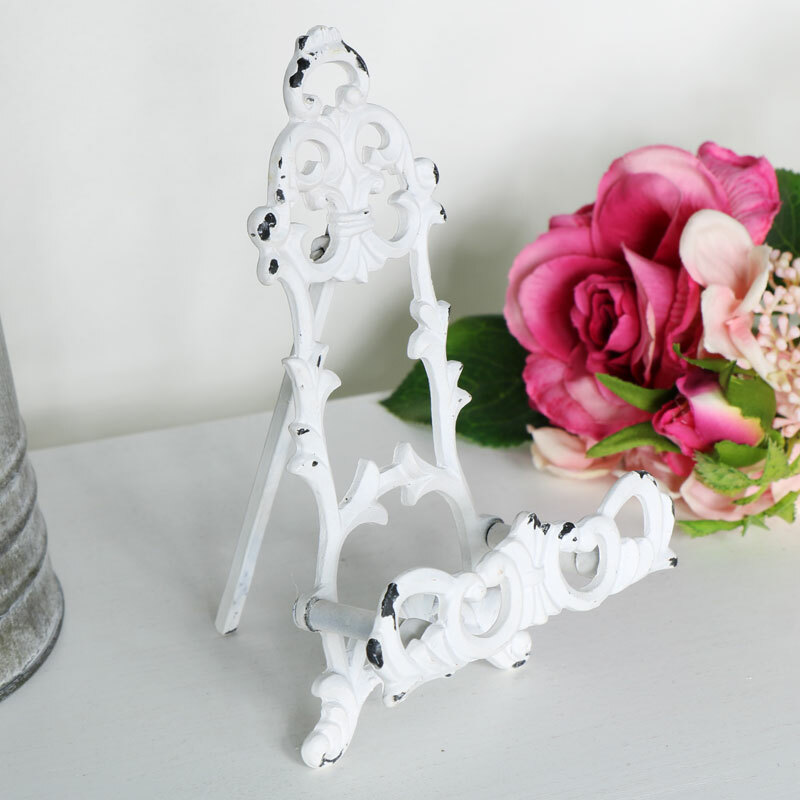 Ornate design that will be perfect for using as number holder for a vintage French wedding. Practical and pretty, this stand could also be used for holding tablets and smart phones. Made from metal and painted in a dsitressed white. The stand pulls out at the back. A great addition to our growing range of gifts and home accessories.